Glo (formerly YogaGlo) is yoga, meditation, Pilates, and education designed to evolve with you. Practice at home or on the go with our expert, innovative instructors. With an ever-expanding library of content that reflects your ever-changing needs, you’ll find classes for every experience level, life stage, and aspiration. Unbound by any single practice, Glo offers a blueprint to strengthen body, mind and heart. Whether you have five minutes between meetings or 90 minutes on a lazy Sunday, you’ll find classes that meet you where you are. Glo is a network of globetrotting instructors coveted for their constant innovation and enduring expertise on a range of practices spanning yoga, meditation, Pilates, and beyond. Our programs are guided class series designed to take you on a journey. From lifting into an inversion to inviting deeper sleep, choose a program that aligns with your current goals, or inspires a new one. Get into a rhythm by setting up your weekly schedule, then take your classes and enjoy the journey, with plenty of support along the way. Find fresh inspiration in Discover, our rotating selection of curated class collections From of-the-moment themes to playlists from Glo instructors, explore the possibilities of your next amazing yoga, meditation, or Pilates class. Head to Search to find a class that meets your needs in the moment—across yoga, meditation, Pilates, and education. Search by keyword or use our filters to choose the duration, style, level, teacher, and focus of your next practice. Download your favorite classes so you can practice offline. From the airport to your hotel room, and your living room to the great outdoors—create your personal practice space wherever you go. With Apple Watch, you can track your exercise duration and heart rate to contribute to your Activity Rings and meet your daily goals. Seriously. As a person who lives with depression, anxiety, and addiction, YogaGlo has had a significant and lasting effect on my body, mind and spirit. On the days when I can’t even get out of bed, there is a meditation or breathing exercise. When I manage get up, but I’m tired and anxious, I can use the filters to narrow down my search to fit what I need. Coming home from the gym, a bike ride or a hike, I can find recovery and restorative classes that fit the time I have. Whether I’m sore, energized, grieving, struggling in sobriety, tensed, stressed, sad, angry, grateful, motived, have an hour or 15 minutes, in need or strength training, tutorials, or spiritual healing, YogaGlo is always right beside me. There is such a wealth of knowledge, intention, customization, and variation in types of yogic practices as well as professionally trained teachers. 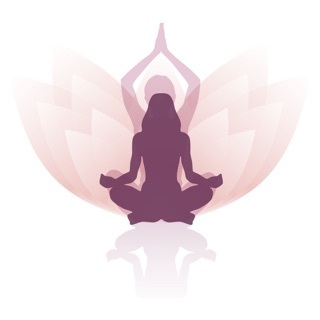 I have been using YogaGlo for about 4 years now and am very pleased with the app for my iPhone or iPad. I seriously can not recommend this app and program enough. The membership is very reasonably priced for how many options are available, especially when you consider you would be paying near or more than the monthly fee for JUST ONE yoga class at a studio or gym. I hope you find what you need or realize you already had it. Love. App is fine, teachers are the BEST! YogaGlo is amazing, but forget the app itself — it’s really all about the instructors!! I have been using the website for 6+ years and I go back to the same classes again and again. I have been to many gyms around the country and also done other yoga online, and really and truly nothing compares. Jo Tastula is incredible and hands down my favorite. I have paid more than $15 a class or $60/mo for teachers who don’t even compare to Jo as far as spiritual and yoga teachings go; she is undoubtedly one of the best in the country. So I really don’t care about all the other bells and whistles about the app; take just one of Jo’s classes and you will have already gotten your money’s worth. I also love the other teachers, some of whom travel the country appearing at yoga festivals every year (so we’re not talking fitness freaks who just got their certification to earn a couple extra bucks — these folks live, eat and breathe yoga), and the wonderful meditations by David Harshada Wagner are fantastic. So worth it!! The app is working on my iPad but it is not working on my phone. First, it kept telling me that I have to renew my subscription even though I had renewed my subscription, and I could not get off of the page with that instruction. Then suddenly it started working, but when I started doing my 10 minute class it ended after two minutes. Also even though I have signed down from Facebook it’s only started saying I could not sign on for Facebook and there was no account linked to my Facebook account. There are a lot of glitches in this app (for the phone), and I have reported them but I would like to see them fixed faster. This has nothing to do with the quality of the yoga classes and instructors, which is great.